Last week we lost two celebrities to suicide. 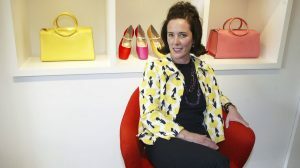 Kate Spade was known to the world as a fashion icon and Anthony Bourdain was known as a chef, author and TV personality. But first and foremost, they were a mother, father, daughter, son, sister, brother, wife, husband and friend to so many. Although there were many people surrounding them, I can only believe that they must have felt overwhelming loneliness and dread so consuming that they thought they had no other choice but to end their lives. Unfortunately, I know first-hand exactly what their families are feeling. I lost my dad to suicide one year and nine months ago. The pain has lessened but the sadness hasn’t. Something happens every day that makes me think of him. I miss him deeply, but I keep going. And I keep talking about him to everyone, especially my kids. Then about an hour later it was released that “the suicide note” was addressed to their daughter. I couldn’t believe it! How dare the media release that information! How dare the police leak that information to the media! This is a minor that just lost a parent to suicide a few hours prior! This child has to go back to school and face her peers. How many mean kids do you think are going to ask her what kind of sick things her mom wrote in the note or what was in it?! This is an incredibly private piece of someone’s life, of a family’s life…it’s absolutely disgusting that the police and the media would release this information. It took me a month just to go to the police station to pick up the note that my dad left for me. And it took me another four months to read it. I was 38 years old when I read it. Kate Spade’s daughter is 13. I’ve only been able to read it once – now it’s tucked away with his wallet and death certificate. 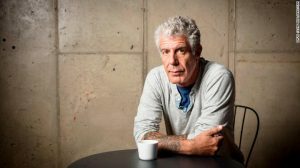 The morning I found out about Anthony Bourdain’s death I was very sad. First, because it was the second suicide in one week and second because I really admired him. We watched all of his shows and I even have a couple of his cookbooks. But again, the hardest part is that he leaves behind an 11-year-old daughter. I wish I could take away the agonizing pain Kate and Anthony’s daughters are going to feel for so long. Whatever your opinion of suicide, it’s so important to remember that it profoundly affects family, friends and other people long after the person is gone. Also, how suicide is addressed needs to be change. The following is an article which discusses the dangers of suicide contagion and how to appropriately talk and write about it: https://qz.com/1297693/how-to-talk-about-suicide-safely/.